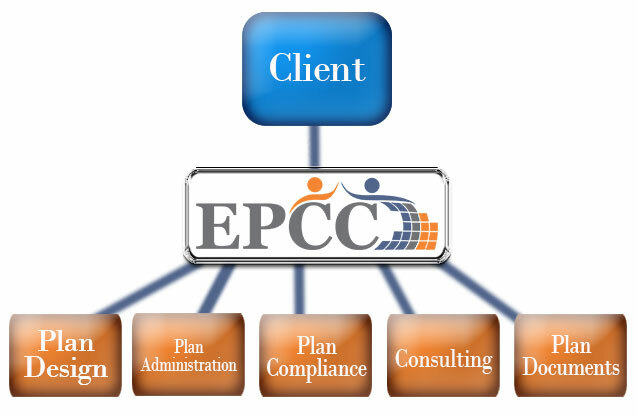 EPCC is a consulting and third party administration firm. We specialize in plan design and actively assisting our clients in finding solutions to achieving their funding goals, whether that may be through the establishment or maintenance of a 401(k) plan, profit sharing plan, defined benefit plan, or cash balance plan. Our greatest strength is our flexibility and broad knowledge base. We are able to accommodate the administration of many different plan designs and investment arrangements, which permit our clients to have a customized plan that is tailored to their needs and goals. Our clients’ plans range in size from single participant plans to plans with 1,000+ participants. Our plan sponsors are attorneys, medical professionals, manufacturing companies, investment professionals, banks, schools, construction companies, and engineering firms, just to name a few. We provide third party administration services for approximately 280 plans with a variety of funding formulas, including cross-testing, integration with social security, age weighted, defined benefit, cash balance, safe harbor 401(k) plans and 457 and 403(b) plans. We are able to work with our client’s actuary on the administration of defined benefit plans and cash balance plans. We have a relationship with Aegis Pension Services, which provides actuarial services.